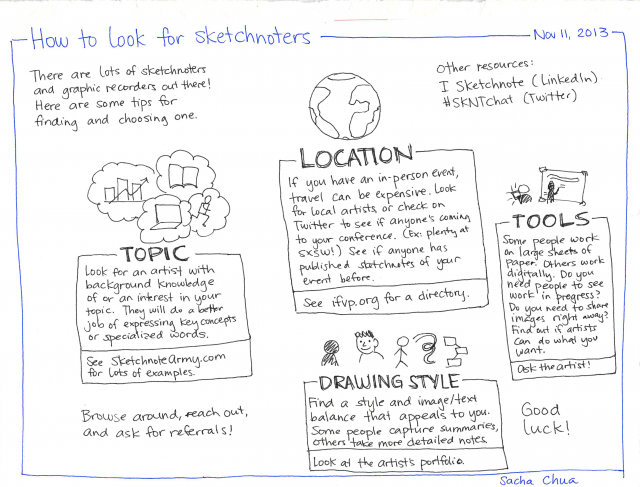 Sketchnotes are a great way to communicate the key ideas from conferences and events. People often ask me if they can hire me to do sketchnotes for their event. 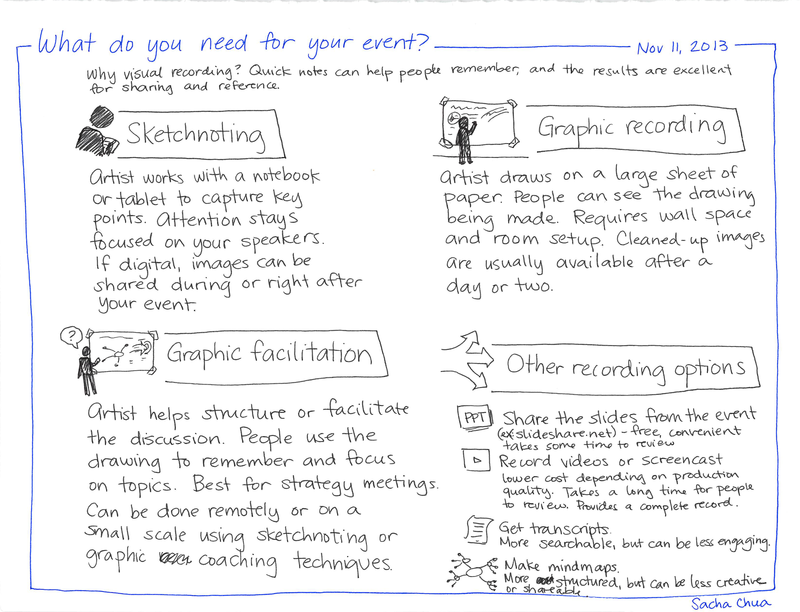 I’ve been focusing on drawing my own content lately, so I’ve put together some tips to help you find the sketchnoter or graphic recorder who can meet your event’s needs. Hope these help! 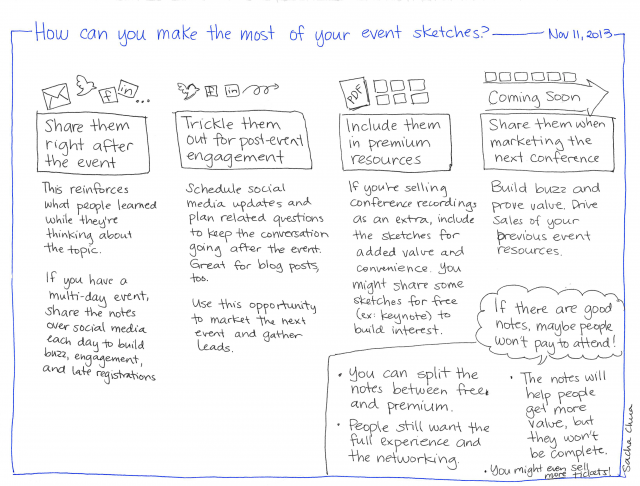 How can you make the most of your event sketches? Patricia Kambitsch (playthink.com) – Based in Toronto. Works both digitally and with paper. You can find lots of other people through Sketchnote Army and IFVP. Hope that helps! VisualFunk: Graphic facilitation or graphic facilitation – which one is for you?